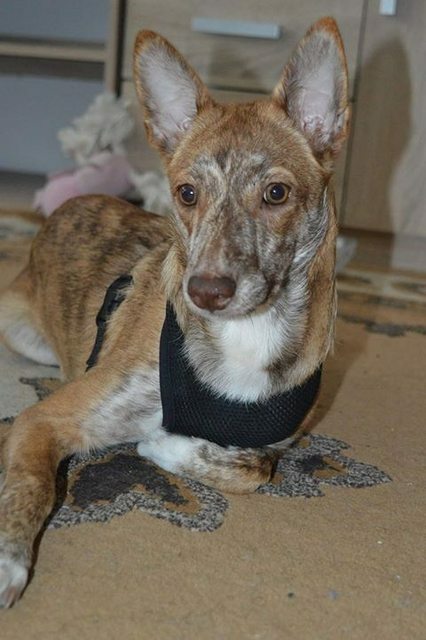 “Bambi, born May 2018 is a female Cross-Breed from Romania, currently in Wiltshire. 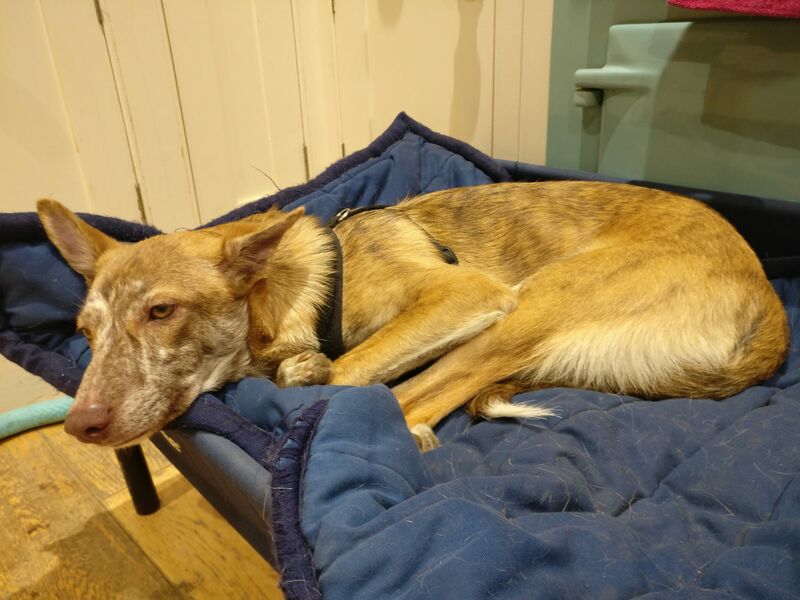 Recently arrived to the UK, Bambi has settled into her foster home like a pro. She is taking everything in her stride and loves getting up to mischief with her fellow foster teenage pups. 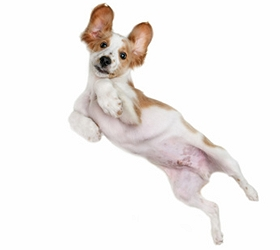 Bambi is great with all other dogs in the household- even the cat, is doing well learning the basics like walking on her lead. Despite how she appears in photos, she isn’t that tall, about 40cms/ cocker spaniel height. This is a very sweet, loving girl. Bambi is full of beans and would would suit an active home where she could be kept busy. She would suit a family home with another friendly, confident dog who could help teach her the ropes . She would be fine with older, sensible children too. Bambi will need an adopter who is prepared to build on the work of her foster mum and continue with her basic training and socialisation. 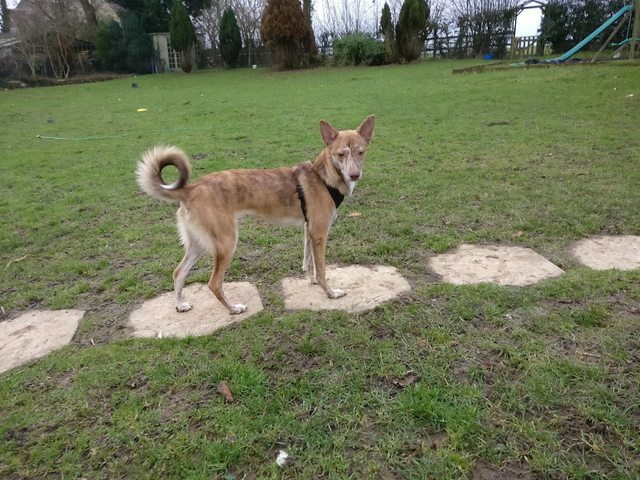 She is lithe and agile so an adopter who would be willing to put her keen mind to use through activities like agility or flyball would be perfect. We are seeking a local adoption for Bambi, so that she can meet her new family in stages, to help her with the transition.